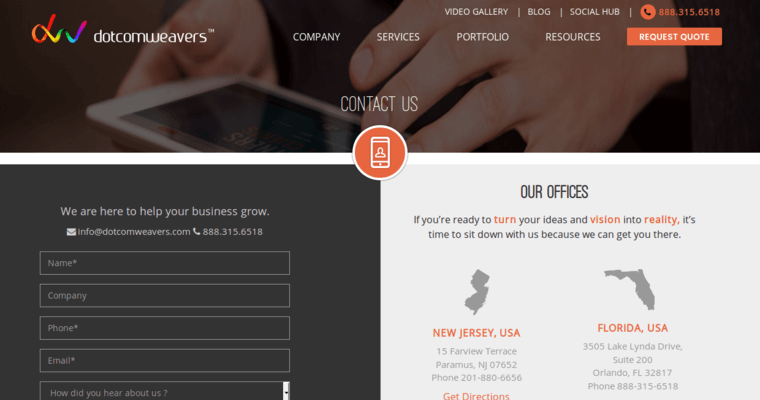 Looking for the perfect web design firm to build your business websites? 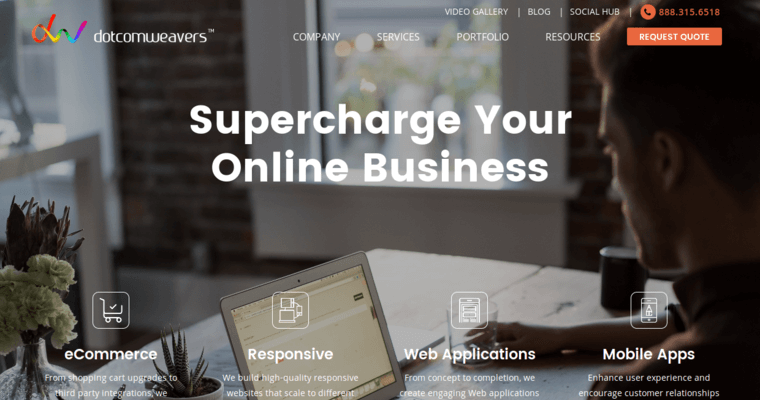 Check out Dotcomweavers; a web design agency with a plethora of awesome awards citing their keen skillsets, commitment, hard work, and passions. These designers are major techies with knowledge in both online development and general business. Their know-how has helped them navigate the tough challenges that business owners face, while finding simpler, streamlined access to the top of search engines. 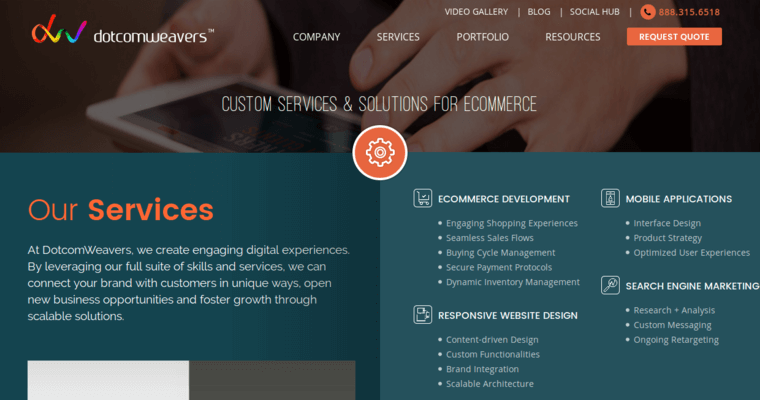 Their clients, while ever thankful, are also always a work in progress, as Dotcomweavers handles maintenance, management, and year-around upgrades. This web design firm is a smart choice.